Because Beastie boys need to be referenced more. Let’s start with an apology – I’m sorry that there wasn’t any Robin update. 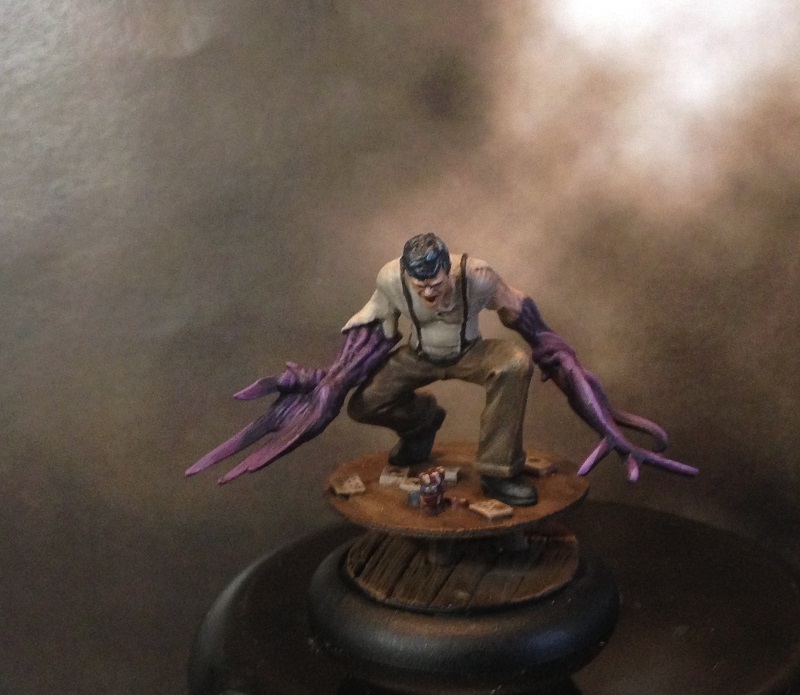 He’s still on the painting table, and my ability (inability) to paint yellow makes it take some more time. 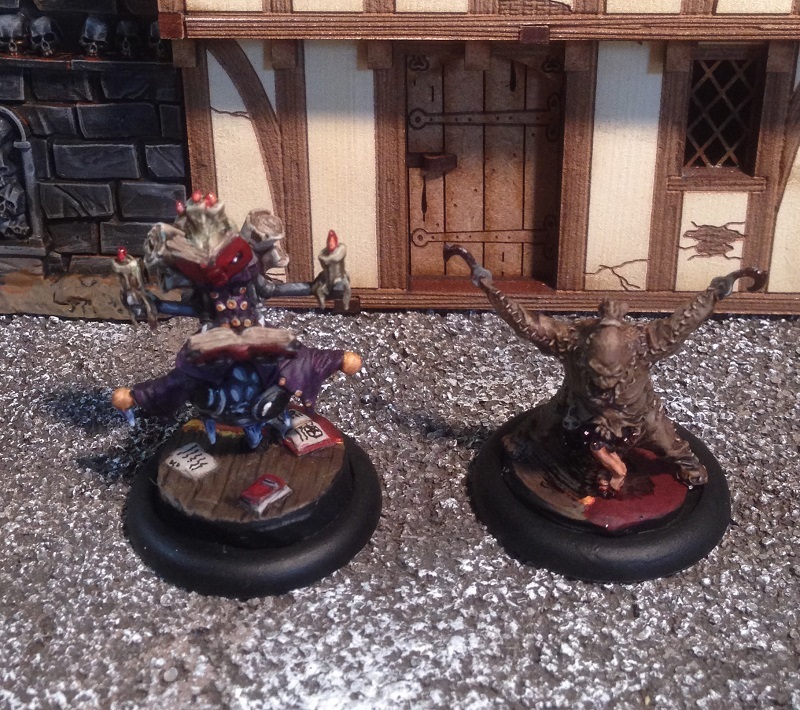 Anyways, a while ago I whipped up some malifaux scheme markers for my Lynch crew, but I haven’t gotten around to blogging it. 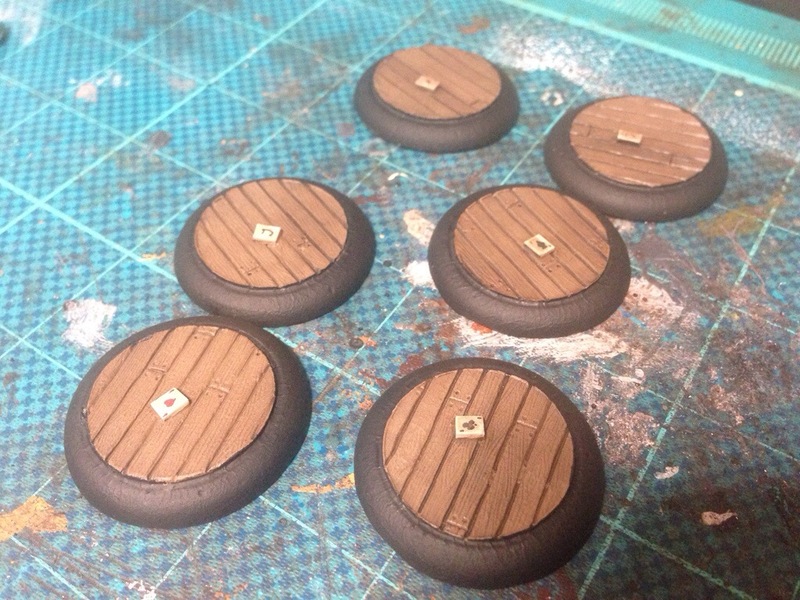 So here it is, scheme markers. 6 of them. Because… How many do you need? I’ve never used more than 6, but what if? Decisions decisions. 6 feels like a solid number anyways. There’s the 4 aces and 2 Jokers (A black J and a red J, respectively). The bases are from Fenris games, and the cards were made from flattened greenstuff cut into shape. The markers are just playing cards on the same kind of wooden floor as the rest of the crew. It feels like if there’s anything that Jakob Lynch would use as a catalyst for his influence, it’d be playing cards. The markers in themselves are pretty minimalistic, but there’s a few reasons behind that. 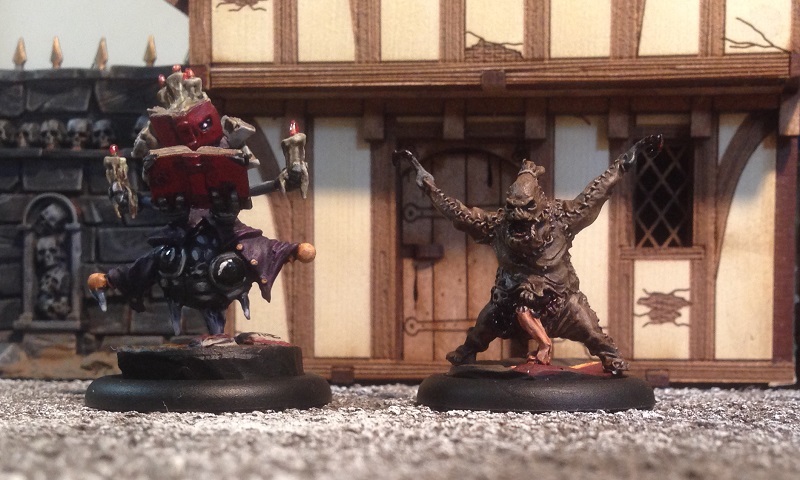 First and foremost, it was the closest to a non-intrusive, yet still thematic, Scheme marker I could come up with. I’ve seen a lot of really great looking Scheme markers, but I feel like they can be a bit too intrusive on the board while actually playing (In game the Scheme markers are 0″ tall and you can stand on them). So, as flat as possible was the goal. 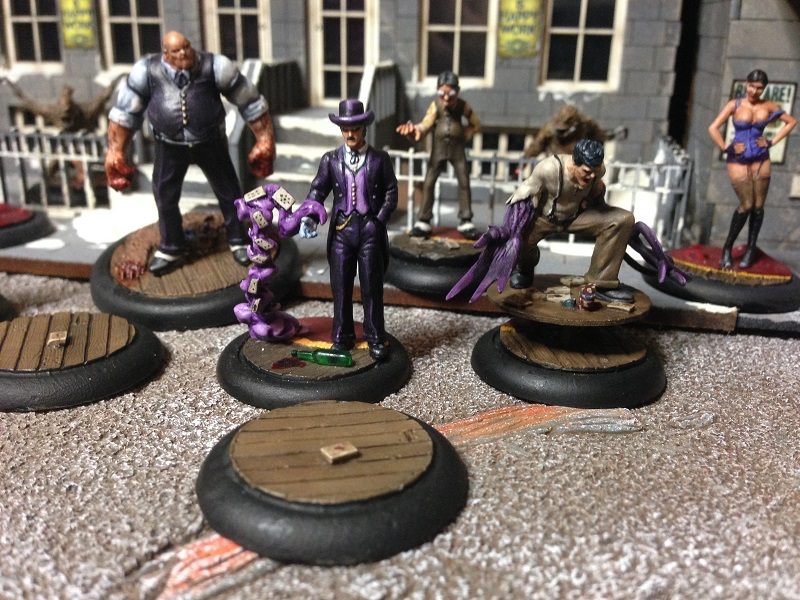 I think that sort of sums up my Lynch crew, might do a group shot to celebrate if I dig out the camera. How many aces do you have in that deck?! 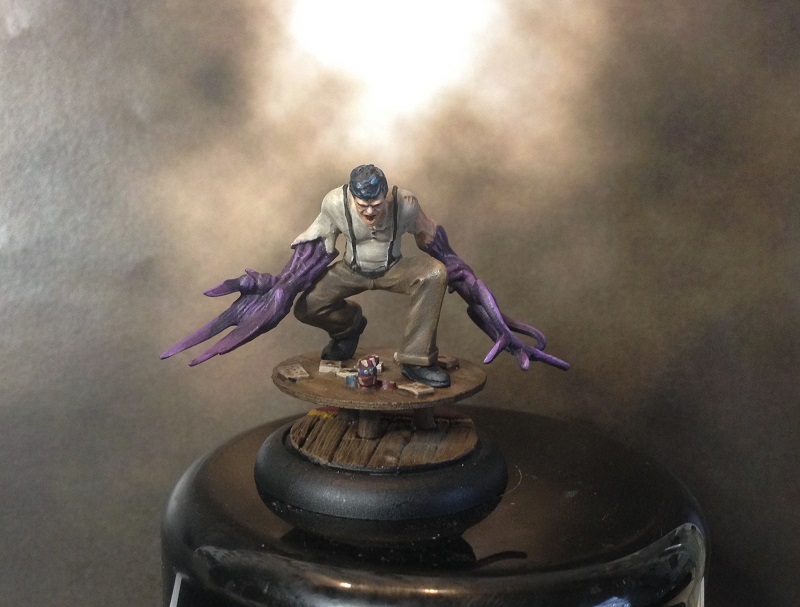 After a long time of not having any energy to spend on the Illuminated of Jacob Lynch, I finally “manned up” and painted one. 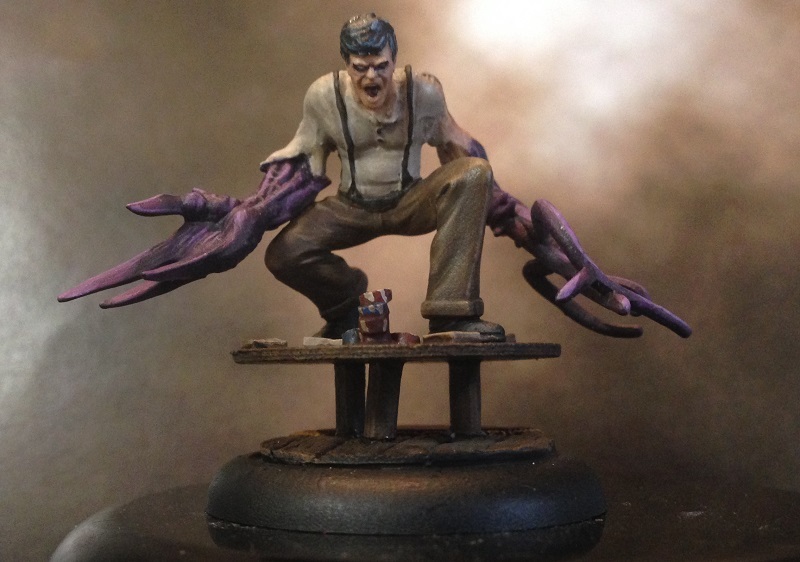 Back in the old edition of Malifaux, I never really felt the need for them, but with the dawn of the new edition, I really can’t shake the feeling that I might make use of at least one. Most likely I should paint up a second, but that’ll have to wait. 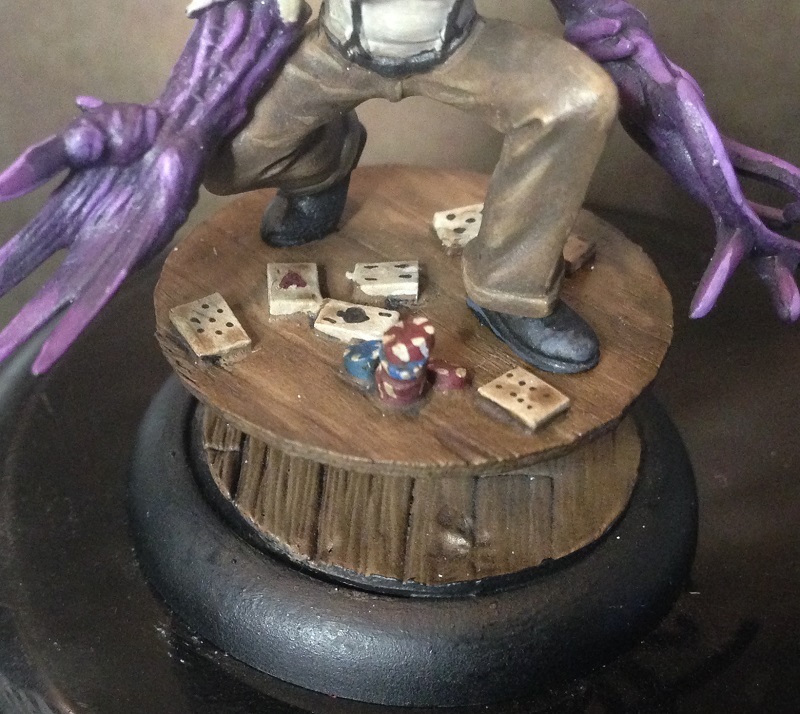 In order to spice this model up a bit, I placed him on a small poker table. Out of green stuff I “sculpted” (I say “sculpted”, because it basically involved mashing a piece flat and making a sausage) some poker markers and cards. The story of the model is that someone tried to cheat him, which makes him flip and jump up on the table going all Prototype and stuff. Because only Lynch is allowed to cheat. The model didn’t take that long to build, but I did spend the time to try some glazing and blending, mostly on the fellers pants. Turned out OK in the end. Either puking, or really, really upset.